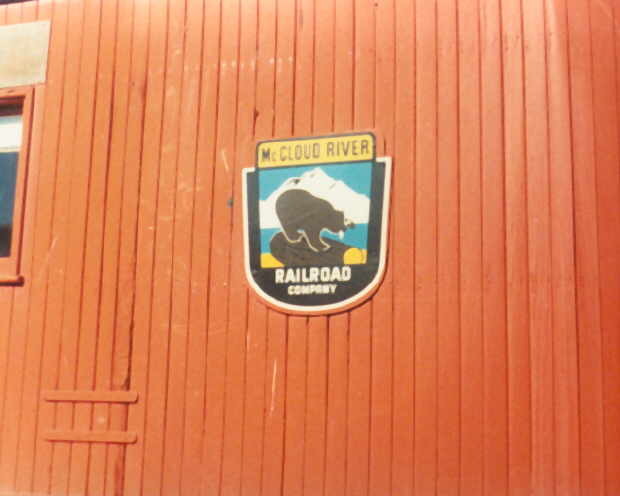 The railroad’s herald on the side of the old VIP caboose. 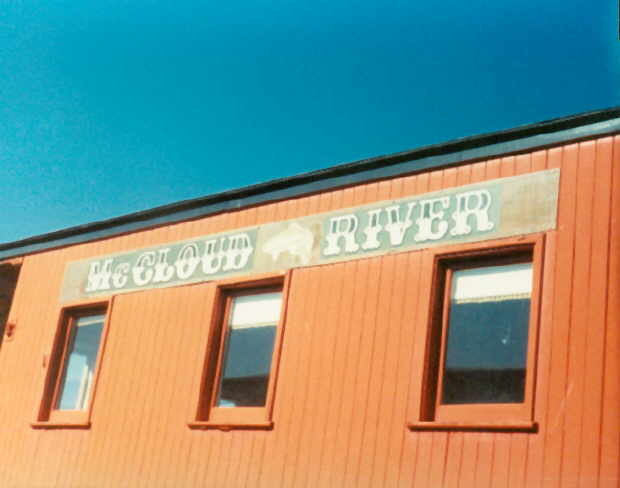 The VIP caboose at one time carried this fancy nameplate. 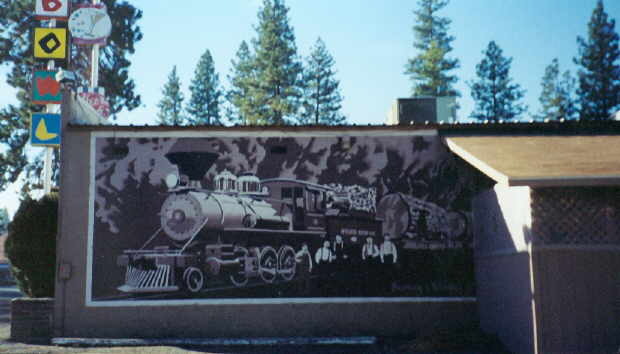 This mural featuring McCloud River Railroad #12 with a log train was financed by the Burney Chamber of Commerce and painted by art students from Burney Jr. Sr. High School on the side of the Burney bowling alley about 1992 or 1993.